A notoriously unstable and rebellious member of the Roman Empire, Britannia was thrown into bloody conflict as the Western Roman Empire began to crumble. Axe, spear and sword became the dominant currency for those vying for control of the kingdoms. 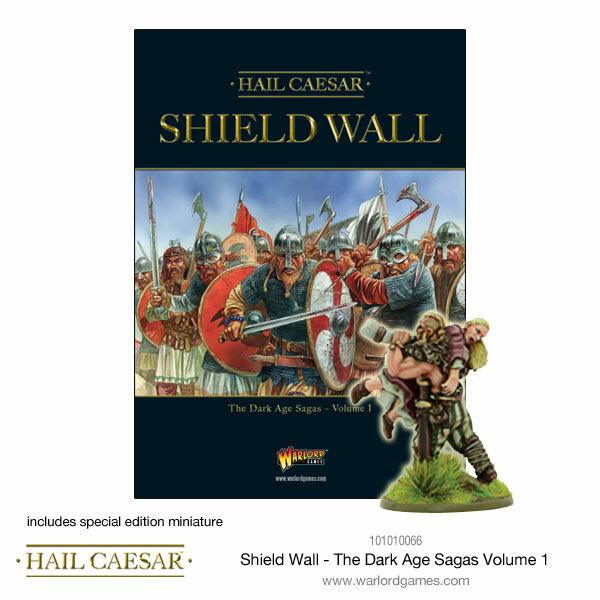 Shield Wall is a supplement for Hail Caesar which introduces the main battles, armies and personalities of the Dark Ages in the British Isles from around 400AD up to 1000AD. 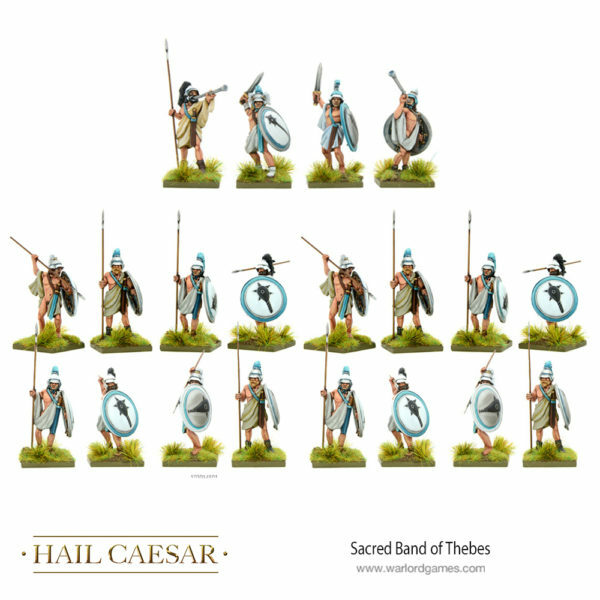 In addition to the traditional Hail Caesar massed battles, the supplement introduces rules for smaller scale engagements between warbands as reflects much of this period. 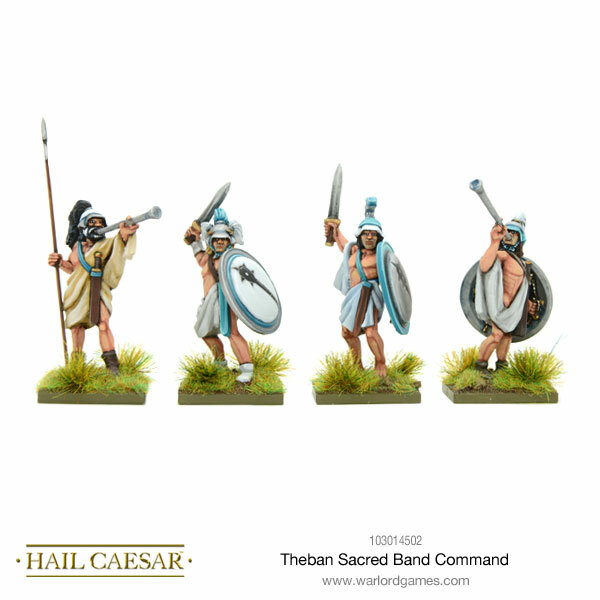 Shield Wall also contains campaign rules and several linked scenarios ­– from Badon Hill to Brunanburh. The army lists are included for Limitanei, early and late Saxons, Romano-British, Welsh-Cymru, Irish, Picts, Gaels, Vikings and Irish-Norse. 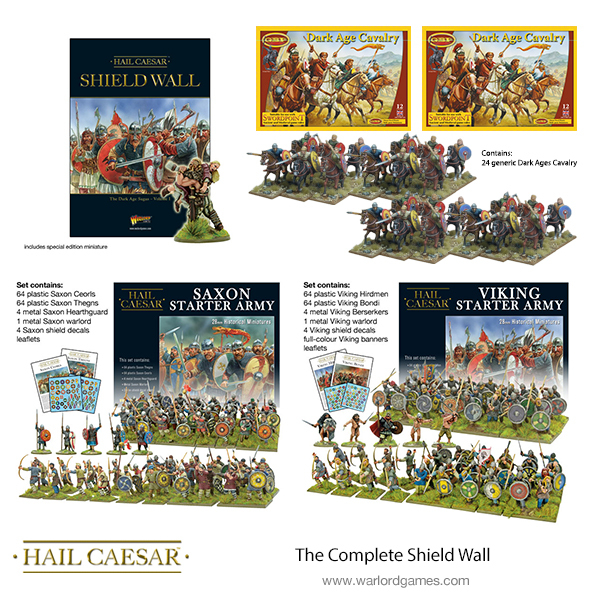 What better way to start your dark age battles than to dive right into Shield Wall with this complete starter! 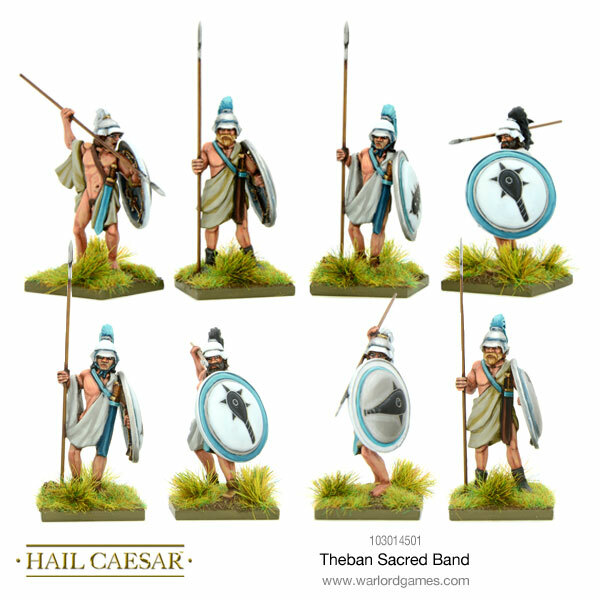 Regarded as invincible throughout all of Ancient Greece, the Theban Sacred Band (or The Sacred Band of Thebes) were specially selected and trained elite soldiers of the Theban army in the 4th century BC.